As of this morning, uploaded 16 interviews to Disquiet.com, including what appears to be now the earliest interview on the site, one with Randy Greif, speaking in 1992 on the occasion of his reworkings of Alice in Wonderland (“The Mad Sampler”). There are also two new (well, old, but newly re-uploaded) interviews with Amon Tobin (“Bric House,” from 1997, and “Evolution & Permutation,” from 1998), in addition to the one that’s already been up, and one new DJ Krush interview (“Krush Groove”), from 1996, in addition to the Krush interview that’s been on the site for some time now. And, finally, the heads of six record labels, some of whom are also musicians. Seven, if you count Ninja Tune’s Matt Black, above, but then again, who doesn’t run a record label these days? The publication dates associated with some of the articles are rough estimations. All these articles had been on Disquiet.com in the past, but had to be re-uploaded after the site was moved to WordPress on July 26, 2007 (disquiet.com). Previous to that, it had been, since December 1996, published in HTML by hand. Before that, material that later became Disquiet.com appeared on several generic URLs, hosted at places like “netcom” and “calweb.” Those were the days. With these interviews up, the post-WordPress-upgrade cleanup is pretty much complete. There’s a backlog of small news items, which I’ll get to in the near future. There are also older, and newer, interviews yet to be published here, including a brief Hank Roberts piece from 1988 or 1989. More to come. Love the machine, hate the factory. Apparently that’s the motto of the magazine SteamPunk, according to Cory Doctorow, who takes it as the title for his column in volume 17 of the magazine Make (make-digital.com), out on newsstands March 10. 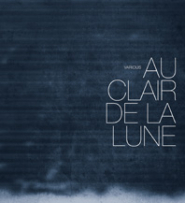 Subscribers to the Disquiet.com email newsletter next month will have a chance to win a copy of the two-CD set Au Clair de la Lune, courtesy of the label Infrequency. The album collects nine sound-art transformations of what’s been described as the earliest known recording of the human voice. The source material is the April 9, 1860, recording made by Ã‰douard-Léon Scott de Martinville. More information on the de Martinville discovery, including the raw audio, at firstsounds.org, and at disquiet.com and nytimes.com. The international figures involved in the remix project are as follows: CD1 features Steve Roden, Lionel Marchetti & YÃ´ko Higashi, Sleep Research Facility, Lance Olsen, Stephen Vitiello & Molly Berg, and Christophe Charles. CD2 features Jamie Drouin, Bernhard Gunter, and Yann Novak. More information, including streaming samples of the Roden and the Marchetti/Higashi, at infrequency.org. Instructions on how to subscribe to the Disquiet.com email newsletter appear on every page of this website, or you can visit the inelegant but fully functional interface at disquiet.textdriven.com. The newsletter is scheduled to be published on March 16, so try to subscribe by March 15. Special thanks to Infrequency for providing this prize. If there’s an enticing remoteness to the work on EARLabs 3, a new album-length collaboration between Jos Smolders, Christopher McFall, and Sasha Neudeck, perhaps credit goes to their working conditions. Living as the three do in entirely different cities and countries — respectively Tilburg, the Netherlands; Kansas City, U.S.A.; and Vienna, Austria — they opted to telecommute. And as if the distance wasn’t already enough of a factor in coloring their group effort, they also elected to do so one at a time, sharing files rather than performing together virtually. The excerpt heard here (MP3) is an exercise in stunning silences and jarring interruptions, a work of spatial play — all intricate little noises positioned just so — that demands headphones but really plays best on a proper pair of speakers, in a room where the sounds can fill it and take over, like ghosts inhabiting an old building. There are ghastly, dead winds that rotate slowly in the distance, and sudden sounds that signify something happening, and just as quickly disappear. There are what could be muffled calls for help, and quick edits that make it easy to lose one’s sense of time during the five-minute recording. And what there is, foremost, is a balance between calm and tension. This is not music to relax to, nor is it the score to a slasher film. It’s an investigation, painstaking in its rectitude and attention to detail, that commands attention — attention to every brittle cue, every choking gasp, every abstract fragment. Visit Smolders at jossmolders.nl and Christopher McFall at myspace.com/christophermcfall. More information on EARLabs 3 at the record label’s website, entracte.co.uk. This list presents an index of the comics that appeared in Pulse! between Tomine’s debut, in February 1992, and the magazine’s closure, after 19 years of continuous publication, in December 2002. I put these lists together hastily following the announcement, on November 7, 2002, of the cancellation of the magazine, so there may be a fact or two wrong. And I have yet to complete the list of, among other things, the comics Green contributed to the magazine, but I’ll have that done in the future. This list was originally produced when I had a “comics blog,” ReadComicsInPublic.net, which I ran from September 2002 through October 2003. I may also, down the road, detail the subjects of the monthly strips, now that the list is housed on this website, Disquiet.com.